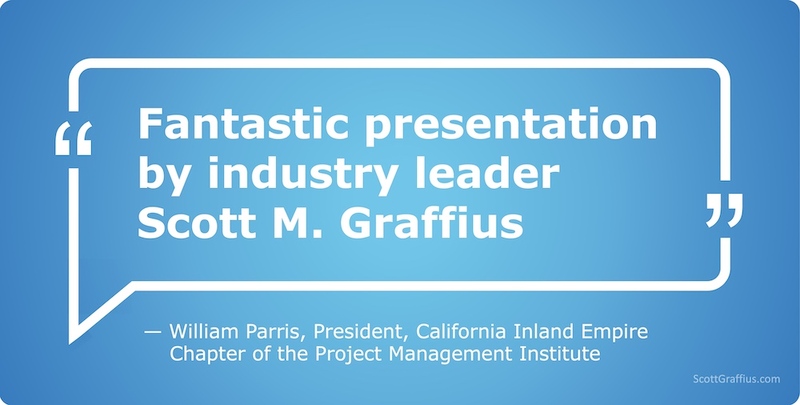 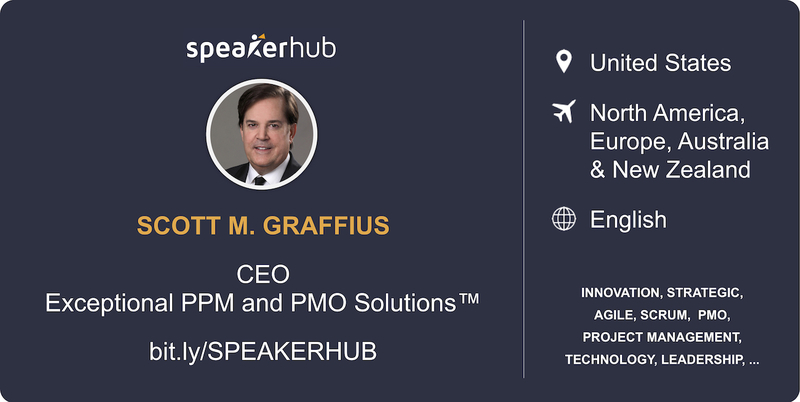 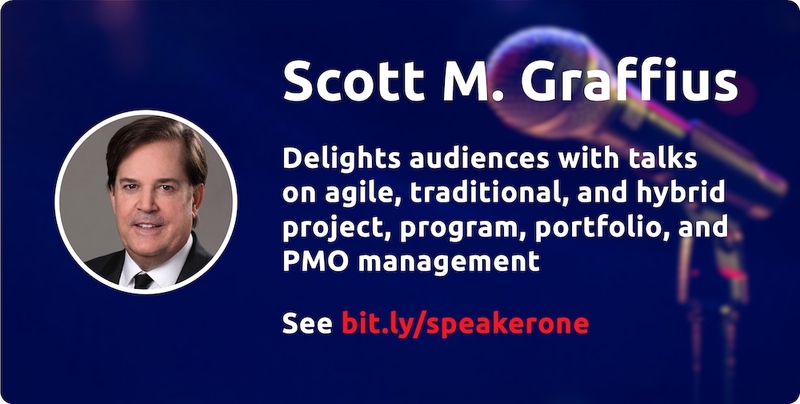 This is an update from Scott M. Graffius of Exceptional PPM and PMO Solutions™ on speaking engagements. 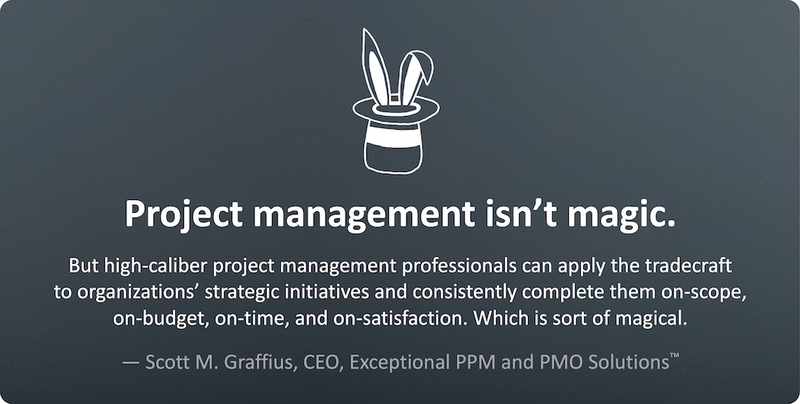 Roadmaps can advance a clear, shared understanding of project plans for executives and other stakeholders. 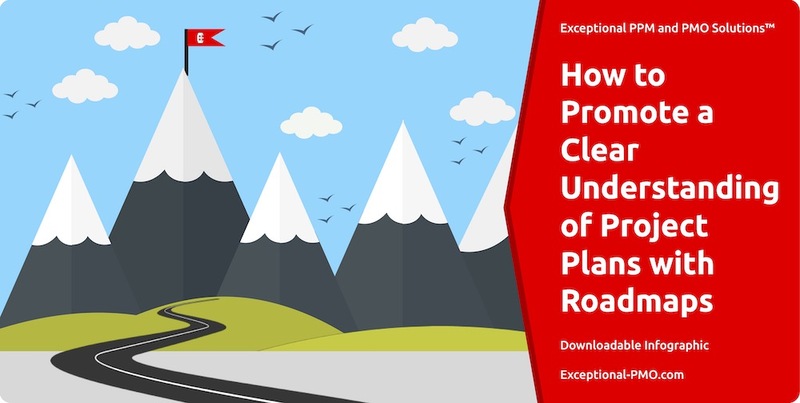 Information on designing and building highly effective project roadmaps is available in a free downloadable infographic from Exceptional PPM and PMO Solutions™. 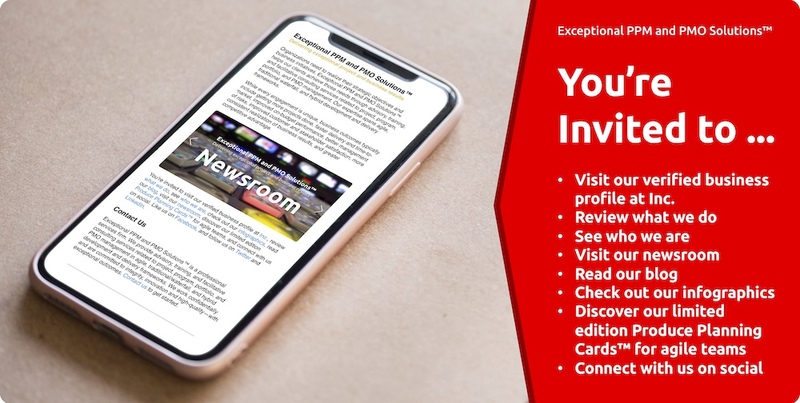 The file is located here.